Question: I have lost my Windows Password, how can I recover Windows Password? Answer: Forgot Windows Password? Don’t worry; it happens to many people every day. We are supposed to create a long and strong Windows password in case of spying eyes for our home or office computers, but sometimes we make them so complicated that we forgot them ourselves. There are some ways to recover Windows Password. I think there is one that can help you indeed. Don’t feel it is ridiculous. 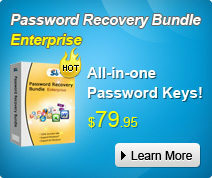 You will surprise at how it works for Window password recovery. Please be patient to take a look at this traditional way before we try technology ones. *The place you get birth? *The name of your best friend? Or anything else related to your life, your work? Note: here you need the help of another computer which you can access to Windows to accomplish the whole process. Step 1: Download Windows Password Recovery, setup and run it on the accessible computer. Don’t forget to insert a blank CD. Step 2: On the main interface, choose “reset Windows local account password”. And tick “CD/DVD”. Step 3: Start burning a bootable CD by clicking on “Burn”. Step 4: Insert this CD to the computer you can’t access to and boot it from CD. You will enter the interface of Windows Password Cracker under Win PE. Step 5: follow the wizard to select your system and account you’d like to reset password. Click “Reset” and then “Yes” in the next popup. Step 6: The last step you need to do is to restart your computer, and your Windows password has been deleted. Completed! Quite simple! Just abandon your drastic and destructive step—reinstall Windows. Try this amazing Windows Password Recovery! 3 Easiest Ways to Find Lost Windows Password? With the growing security consciousness for modern people, they are busy to remember their bank numbers, names of people, phone numbers, social security numbers and dozens of others things. Who has time to remember their Windows password? But when they lost Windows password, they feel that the world is coming to an end. Don’t fret; you can definitely resume access with a variety of techniques. Pros: Free, easy-to-deal, only create disk once no matter how many times you change your password after creating the disk. Cons: It only works before you lost or forgot Windows password. If you never created one yourself before losing access to Windows, you have to try other methods. 2. Another way to recover Windows password is to use the password hint which is at the side of your password prompt on the Welcome screen. According to it, you can try to regain your forgotten password. Cons: It often doesn’t work if you have a bad memory. 3. The most efficient way is to use the third party software. I have experienced one named Windows Password Recovery. It is fast and easy enough for windows password changer with a basic knowledge of Windows to recover, or reset lost Windows Password. Pros: Easy- to operate, convenient, enable you to burn disk after you forgot Windows Password. Step 1: Insert a blank CD in another computer that can run as administrator, and download & install & launch Windows Password Recovery. Step 2: Select “reset Windows local account password”, and tick “CD/DVD” and specify your device. Step 3: Click “Burn” to create a Windows password reset disk. Step 4: Boot your computer that can’t access to Windows with CD. You will see Windows Password Unlocker under Win PE. Step 5: Choose the Windows installation to be processed, and highlight the user account and click “Reset” to remove Windows password. To confirm your action, please click “Yes”. Step 6: The reset will be active after you reboot your PC. Yes, you have retrieved your lost Windows Password successfully. What are you waiting for? Just grab them and share them with your friends.